99X Technology stole the show at the Great Place To Work awards ceremony this year, held on 28 June at Cinnamon Grand Colombo, when it was felicitated with five awards, and was among the first companies in the country to be inducted into the Great Place To Work Hall of Fame as a result of being ranked among Sri Lanka’s best workplaces for five consecutive years. This was a great testament to the company’s ‘people-first’ formula, one that has been honed by 99X Technology over the years, and its unwavering dedication to not just maintaining that culture over time but also constantly evolving it to be better year on year. The number of category awards that 99X Technology swept up in addition to the main accolades affirmed this. Headquartered in Sri Lanka with offices in Oslo, Norway, 99X Technology has also been adjudged as one of Asia’s best workplaces in the recent years and is a regional leader in agile software product engineering and technology innovation. Its expertise has been proven through a 150+ portfolio of sought-after software products developed since the year 2000, serving a global audience by partnering with leading Independent Software Vendors across Europe and Australasia. 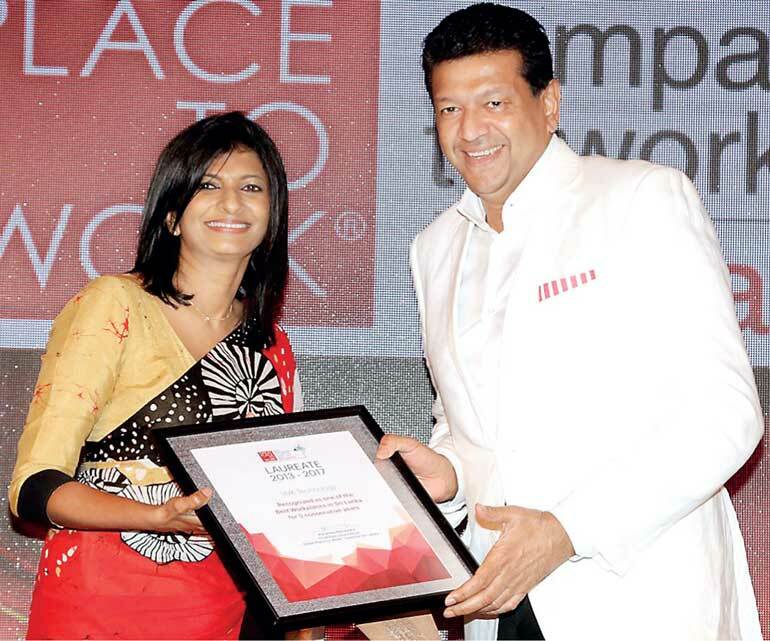 In addition to being the first IT company in Sri Lanka to enter the Great Place To Work Hall of Fame and being listed on the 2017 Great Place To Work Index, 99X Technology was also the recipient of three sought-after category awards. These included being acknowledged as the Best in the Small Sized Enterprise category, Excellence in People Initiatives, for best practices that support the building and sustaining of great workplaces, and also bagging the award for Excellence in Training and Development. What sets 99X Technology apart and makes the culture outstanding is the level of employee engagement. Each member of the 99X Technology team is encouraged to be self-motivated and take pride in making a difference, to be able to challenge norms and innovate constantly. Fostering a culture of empowerment and innovation, 99X Technology embraces employee diversity and strives to develop its employees through the same. The credibility of the leadership leverages this practice more and exhibits organisational transparency and trust, motivating employees to pursue their professional aspirations, and relate personal goals to the company’s growth. This year, the Great Place To Work survey assessed around 100 organisations in over 16 sectors in Sri Lanka, collectively representing an employee population of 31,000. When asked the question ‘do you believe your organisation to be a Great Place To Work’, nine out of 10 employees in Sri Lanka’s 25 Best Workplaces answered ‘yes’.